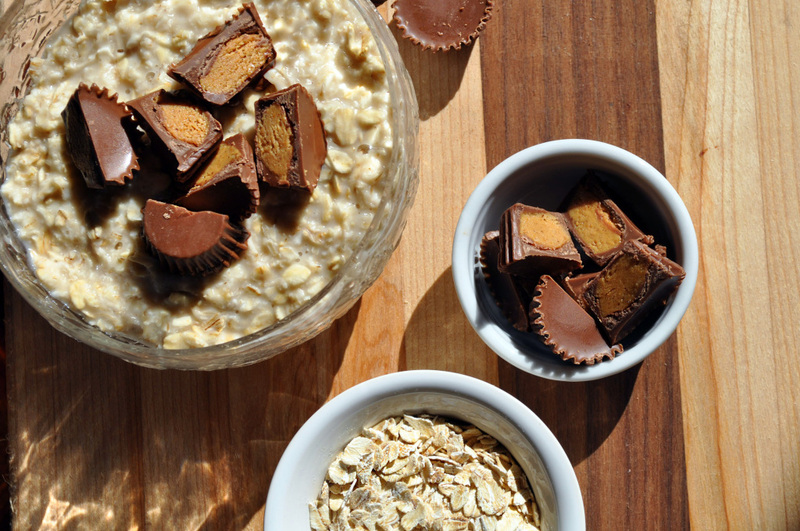 Three oatmeal recipes that are definitely more treat than trick. If you’re like me, when October rolls around and everyone is stressing about what to wear for the multi-day Halloween celebration, you instead focus on huge bags of candy and the increasingly ridiculous pumpkin themed treats being sold at every supermarket and coffee shop. 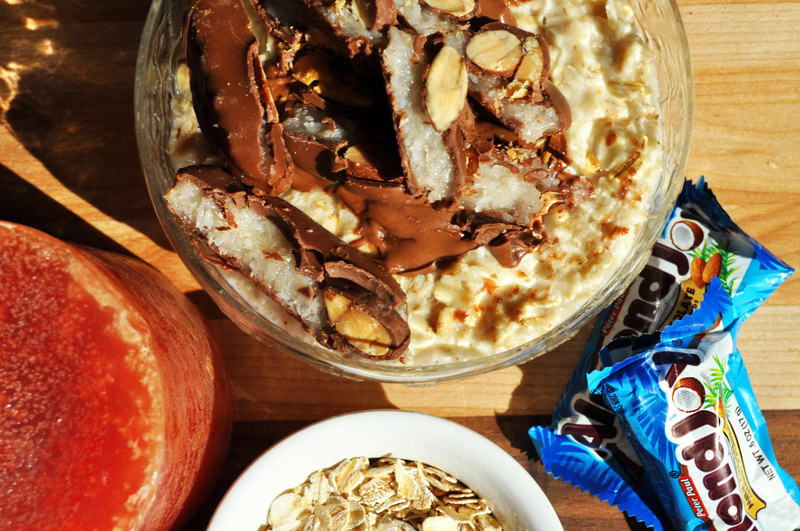 However, rather than simply stress eating pumpkin spice Oreos and mini Snickers in preparation for midterms, try one of these suggestions for a Halloween themed oatmeal breakfast. 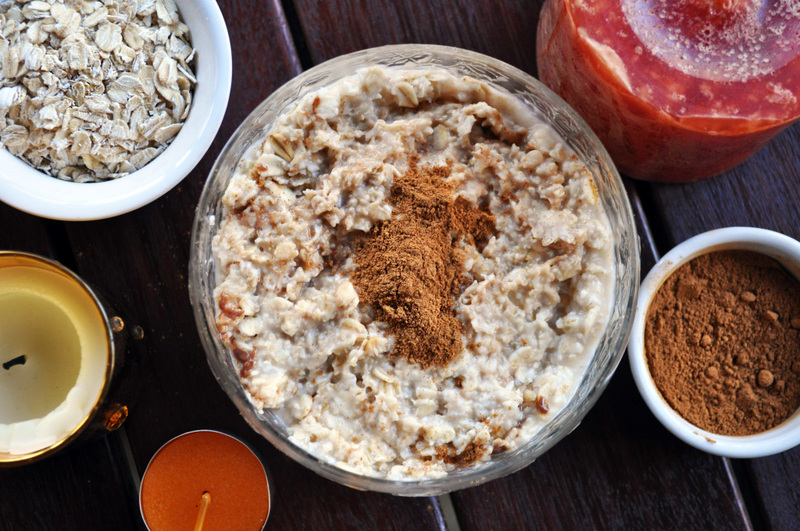 All of the recipes below can be made using your favorite kind of oatmeal. If you are working with just a microwave, instant oatmeal is great, but if you have access to a stove, quick cooking oats take only about a minute to make and can vastly improve the quality of the recipe. Make your oatmeal according to the package instructions, but substitute vanilla almond milk for the usual regular milk or water. Once the oatmeal is prepared, add 2 tablespoons each of sliced almonds, shredded coconut and dark chocolate chips. Stir everything together, then top with an actual mini Almond Joy for a fun garnish. Once you have made plain oatmeal using your method of choice, stir in 2 tablespoons of milk chocolate chips and 1 tablespoon of your favorite peanut butter. I like the added texture of crunchy peanut butter, but go with whichever you prefer. Once again, top with a real Reese’s peanut butter cup and enjoy. The method for this recipe will vary depending on whether you are making microwavable oatmeal or stovetop oats. For the microwave, follow the directions given by the specific brand, but before microwaving, stir in 2 tablespoons of canned pumpkin puree and 1 teaspoon of pumpkin pie spice. If you like your oatmeal on the sweeter side, you can add in 1 tablespoon of brown sugar as well. Microwave according to the package directions. If you are making stovetop oats, before removing the oatmeal from the heat, stir in the previously mentioned ingredients, allowing them to fully combine before serving.